Are you killing it in the gym, but not seeing the results in the mirror? Have you been hitting it hard but the gains are coming slower than you thought they would? Have you ever consider the idea that maybe your problem is your diet, and your current method of fueling your body? Everyone that is serious about fitness already knows just how important nutrition is to creating a impressive, muscular physique. Even the best training program you can find is a bit pointless if you are not fueling your body with the proper nutrients it needs to grow. Everyone that is serious about fitness also knows how boring the food and meals can become, and just how fast that can happen. With that said I am going to introduce you to a possible solution with the Anabolic Cooking Cookbook Review. We will take a complete look at the in’s and out’s of this muscle friendly cooking platform, what it’s made of, as well as the bonus items that are included. With over ten years of trial and error and four years of research, Dave created the Anabolic Cooking Cookbook. He filled it with all of the tricks and tips he has learned along with hundreds of great tasting recipes that have proven to build lean muscle. One of the biggest problems with a traditional health and nutrition plan is that they are filled with boring and tasteless foods. Thus making it very tempting to stray away from our dietary plan. Who wants to eat boiled flavorless food all the time? This could easily lead us reaching for junk food at every turn to satisfy our cravings for something tasty. The key to avoiding this is to have healthy and tasty food prepared ahead of time. So you will have it on hand for those weak moments. There are some other problems people have in regards to healthy cooking and eating. In this cookbook Dave is going to debunk these top five myths surrounding cooking and eating for muscle gain. The idea that your diet needs to be plain and boring, sacrificing taste for performance. The thought that a meal can not be restaurant quality while still promoting muscle development. Your concerns that maybe you can not prepare these kinds of meals yourself. The idea that you don’t have time to prepare a weeks worth of meals ahead of time and prepackaged foods would be simpler. The idea that a trip to the grocery store will cost you your first born child. You will learn that dieting for bodybuilding and fitness doesn’t have to be boring, that You can do it, and that you can achieve amazing results with out giving up taste and enjoyment of your food! So the Anabolic Cookbook is an eating strategy that is designed to give you great tasting meals that are both healthy and muscle friendly. This cookbook has over 200 mouthwatering recipes that all give you the opportunity to achieve the results you are working so hard to attain. Watch Dave Making His Anabolic Blueberry Oatmeal! There are five separate components that make up the complete Anabolic Cooking Cookbook package. Let me take a minute to introduce you to those components, and tell what they each are about. If your goals include building lean muscle mass, losing body fat, staying fit, performing better or simply to become healthier, this cookbook contains over 200 recipes that are meant to help you achieve your desired results. This guide is full of valuable information that you need to know about bodybuilding and fitness and to master the art of cooking for real results. These sample meal plans were designed using Daves advanced nutrient breakdown approach that will guarantee optimum muscle growth without gaining body fat. These sample meal plans will be your dietary guide, helping you to create your own personalized meal plan to burn that unwanted body fat. This will help you calculate your resting metabolic rate, caloric cost of activity or thermic effect of your food. Providing you with the most accurate results and figures specific to you, your body and your activity level. 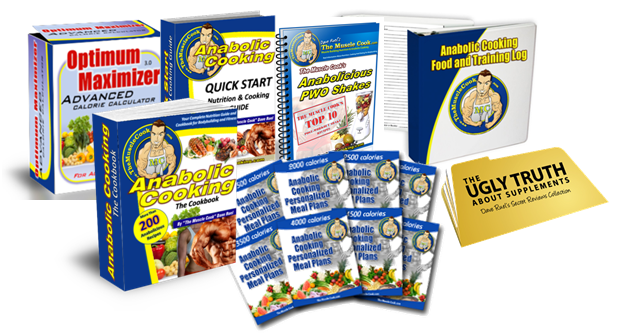 Included with the complete Anabolic Cooking Cookbook package are four free bonus items that will help you attain the results you are striving for. Let’s take a minute and go through each of them. These Anabolicious PWO Shake Recipes will provide your body with the all important nutrients it needs after a monster workout, fueling your cells for recovery. This will give you the low down on the truth about supplements, which ones to avoid and which ones to consider adding to your diet. Whether it is one month or one year, anytime that the Anabolic Cookbook is updated you will receive that update3 for free, for life. 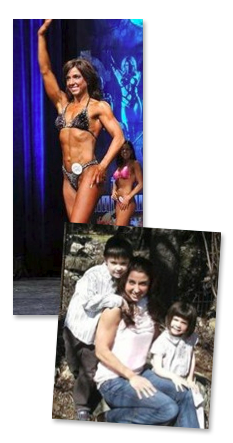 Anabolic Cooking has made it so easy for me to achieve my goals, to be healthy, and to set an example for my children! Now that you know what you get with your purchase I would like to take a moment and tell you about some of the drawbacks with this program. First of all, there are very few options for vegetarians. The cookbook only has a few recipes that are designed for the die hard veggie eaters. It seems to concentrate on proteins in most cases. The second draw back is that there are a lot of grain based recipes. Which goes against many bodybuilders beliefs, however coupled with the right workout these carbs get burned off as energy and not stored as fat within the body. Lastly you will have to cross reference with the Quick Start Guide to understand the what’s and why’s of the meal structures. Not a major problem, but it would be simpler if that info came with each recipe. All in all that was not to bad, but nothing is perfect and this product is no different. We all want to know what something can do for us, or what are the ways a product can benefit us before we buy it. Here is a list of the ways that the Anabolic Cooking Cookbook could benefit you and what things you might learn from this program. You get simple to make recipes that were created to build muscle and torch fat without sacrificing Taste. You will learn about all the nutritional facts about food, and the role they play in your diet. 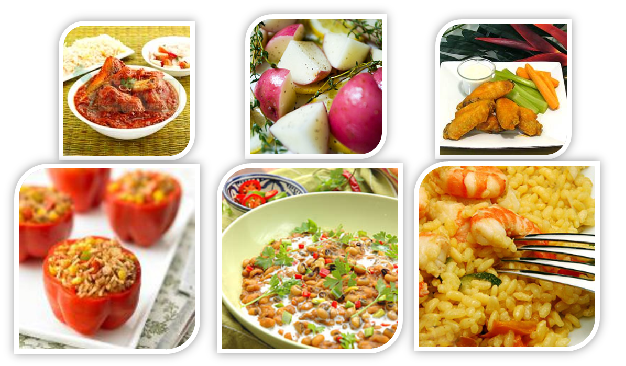 You will get all kinds of tips and tactics for preparing your food, even for the entire week. You will the best nutrition secrets and tactics to optimize your muscle growth and weight loss results. Dave is going to give you his tricks and tactics for smart grocery shopping, and saving you money. You will learn what tools you will need to prepare your meals while staying within the budget. You will learn how to enjoy a cheat meal and even how to stay on course when dining out. With his book, Dave Ruel changed my life, and he will change yours too! While this cookbook and program may not be for everyone. If you are into body building then you really want to consider purchasing this. There really are some incredible recipes to be found here and it would make a great addition to any kitchen. For the diehard’s out there there is no reason why you can not enjoy the meals you are preparing, and the Anabolic Cookbook can show you how to do that. The goal is to gain muscle, not lose flavor. You will also have instant access, after completing you transaction and you will be able to Download the Anabolic Cooking Cookbook PDF immediately, you could be cooking a great meal within 20 minutes. The reality is that for $9 there is just no reason not to add this to your muscle building arsenal. 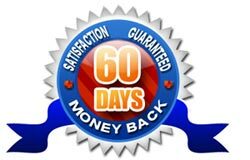 Besides it comes with a 60 day money back guarantee should you find that it is absolutely not for you.. Unless you are totally happy with your current diet, I highly suggest that you buy your copy today. Get it, try it, then make your final decision. It costs less than a delivery pizza, and you stand to gain so much. This truly is a great value for the price so don”t miss out! *Special Note: Always consult your doctor before starting a new workout or diet program, your safety is our first priority. I am going to leave by saying Thank You for visiting, and taking the time to read my review of the Anabolic Cooking Cookbook. I think you now have all the information you need to make a wise decision. If you have further questions or thoughts, please leave a comment below. Or you can contact us by clicking here, and we will get back to you as soon as possible. Previous Post Previous post: Fat Burning Kitchen Review – This Is No Scam! Next Post Next post: Rapid Weight Loss Tips – Shed That Body Fat Fast! Exactly what I was looking for! I’m an ectomorph so I have difficulty putting on muscle mass. I have a very high metabolism. I have tried high calorie shakes but gained more fat than muscle. I found out that the only way to gain lean muscle mass is by eating high calorie healthy food. I’m also a fan of grains and carbs. Does the “Anabolic Cooking Book” include breakfast and healthy desert recipes as well? I am glad you found us, and this is a cookbook that might just get you where you want to be! The Anabolic does have all of the recipes you are asking about and much more. It contains over 25 breakfast recipes and 20 dessert recipes. It also has another 20 recipes in the snacks and bars segment of the recipe book. So as you can see there are lots of options with more than 200 recipes in total. This is a great cookbook to have, whether you plan to follow their program or just have these great recipes on hand. Michal, good luck on your efforts to bulk up, please keep me posted as to your success. I’ve recently started weight training again after a long break. My diet could be better and I need new recipes to boost my muscles gains. I’ve not heard of Anabolic cooking but after reading your review I’m definitely considering looking through the recipes and putting together a cooking plan that complements my weight training. I’m not a vegetarian so the drawbacks don’t put me off. Does the cookbook contain recipes for fish and turkey? Congrats on getting back into training, that is very exciting! I have a back injury myself and I often find that I fall off from time to time. That’s okay as long as we get back to it when we can. You will find some killer recipes here Jonathan, all of which will compliment your eating paln, and we both know how important that is. Jonathan this cookbook does cover both fish and turkey. It has a chicken and poultry section with about 3 dozen recipes many include turkey, and you can always switch out the chicken in those recipes that call for it. There is also a fish & seafood section with about 2 dozen recipes that cover that section. The cookbook also has sections on breakfasts, red meats, salads, snacks, and deserts. Yes I said desserts! Well my friend I want to wish you the best in your training efforts, give this a whirl, it is a great cookbook just to have in the kitchen! Thanks Brendon, I’ve found it hard to stick to a solid training plan because of time constraints but this time around I’ve promised myself to make time even if it’s just 30 minutes per day. Did you say the cookbook has Dessert recipes? incredible. Good to hear back from you! And Yes I said dessert! That just goes to show that we can indeed enjoy eating healthy and still achieve our goals if we take the right approach. I am glad to hear that you have chosen to commit to getting back into shape, and I know that you do have what it takes to stick with it! Jonathan, just remember when you are in that moment of weakness and you are about to slip, that it is not your diet you have committed to, but rather you have committed to you! If you are keeping you diet in check and you remain aware of your goals and the foods you are using to reach that goal,even adding just 30 minutes of exercise each day can have mind blowing effects in regards to your success. 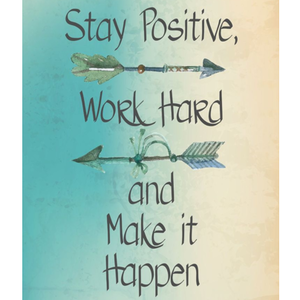 So Jonathan, stay strong, stay the course, and stay committed to Yourself, and in a much shorter time than you think, you will be rewarded with the results you desire! Let me know if there is anything I can help you with, and take care. As you can see I became a fan of your articles:) They are fantastic and very useful! This book looks awesome. I am not a bodybuilder, but I do walk a lot. My biggest problem is that I never have ideas of what meals to prepare. I just would like to know if this book is only for bodybuilders? Can someone that does simple exercises using this book? Daniella! It is always good to hear from you, and I appreciate that you have become a fan! It is people such as your self that push me to insure I am putting up great posts. Daniella this is a great cookbook to have around, it is packed with great and healthy recipe that can be used by anyone, not just body builders. Though it has body builders in mind the recipe were created with an over all approach to health and weight management, making suitable for all!! .You can never have enough great ideas for food preparation, and for the price there would be no reason I can think of that would keep you from finding this Cookbook handy to have. Well Daniella I hope that helps, have a great day and I will be watching for you in the future! Awesome review! 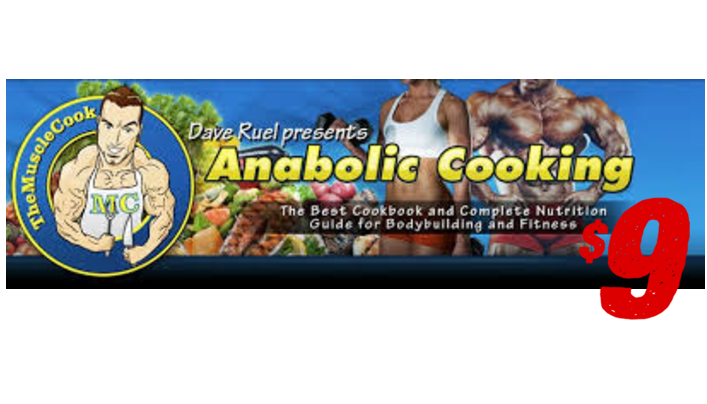 I never heard of anabolic cooking but it does sound interesting and $9 is a good deal. I am actually trying to find the right diet for myself and my boyfriend, but it is tough because he is picky and doesn’t like bland plain boring food. He is into strength training,. the only question I have is do you know if the anabolic meals will help with building strength? My boyfriend doesn’t want to be a bodybuilder; he’s more concerned about if this diet will affect his strength progress. You and your boyfriend can rest easy this cookbook contains some truly amazing recipes that explode with flavor. All of these meals are designed to fuel the muscles, for groth and strength. The difference between growth and strength is effected more by the workout approach you engage in , more than your diet. If you go light weight and high reps you will increase strength and tone, if you go heavy on the weight with less reps that will entice growth and mass, so that are is all up to you. If you are looking for some great anabolic recipes and meals than the Anabolic Cooking Cookbook is for you! I agree that you don’t have to sacrifice good tasting food to eat healthy. If you don’t enjoy what you are eating then it really isn’t that worth it! You have to eat to survive and if your taste buds don’t like it many people will starve themselves simply because it tastes bad. I have seen it happen. I will be looking into this cook book. Thank you! you are right I have seen a few people be so picky about their food and flavor that they make themselves sick by not eating right. These people are just to stubborn for their own good, there are solutions all around if you just go out and look. Darcy I think you will find many great recipes with the pages of the Anabolic Cookbook that you are going to fall in love with. After you get it and try a few recipes let me know what you think, you may even select a few that I have not yet tried. What a brilliant site. You cover most of the health aspects as well as diet. I loved the recipe page in the Category section. So much information without being to crowded. I don’t know how you managed that. The pages were bright and the text clear. Images were very well placed. Couldn’t find anything I didn’t like about it. Thank you so much for all of your compliments about my site! I do work hard to make it visually pleasing, and equally hard to insure accurate and quality content for all of you to enjoy.. It is always nice to know that I am getting it right, and to get feed back from you the user! I hope you will come back often and keep up with everything that we have on the way. I can not wait to hear what you think about some of the posts we have coming up! I have been body building for 2 years now only to get no where. I’ve never heard of this cookbook but it totally makes sense. I’ve been eating the wrong foods who would’ve thought. I’m so thankful I found this review, and for $9 it is definitely worth trying it to get the results I am looking for! Thanks so much for introducing me to this book, I just ordered my copy and will keep you posted on my results. it is true my friend, if you are looking for size and gains you have to beating for them! You have got to be fueling your muscle in a way that promotes growth. The Anabolic Cookbook is great because it not only gives you great recipes for muscle grow, but also for boosting up your metabolism helping to shed the excess body weight. I am glad you grabbed up your copy, for ( bucks i do not think you will be disappointed at all, that is about the same price as a fast food value meal these days! Well Horst I hope you will keep me posted on how it is going for you, until then! Looks like an awesome book! Who doesn’t wanna eat yummy foods and still be in that kind of shape?!?!? The author is gorgeous! It looks highly recommended by a lot of people in good shape. I’m happy there’s something like this out there now! It seems like for a long time people thought you had to starve yourself and they would end up looking saggy skinned, and weak and unhealthy. Now people are really coming around to showing true health and power. its a much sexier look and whats better, it gives longevity to life. I agree that it is nice that we no longer live in the starve yourself era! You have got to fuel your body if you are into any kind of fitness. So why not enjoy the food you are eating? I think that if the food is tasty than it is easier to stay on track. Also if you want to build muscle, lose weight or if you an athlete it is all about living that life style, niot just some passing fad. So it only makes sense to get on a nutrition plan that you can live with! The Anabolic cooking Cookbook is exactly that. It is packed with hundreds of Anabolic recipes sure to please any palate. And for only $9, what is there to lose? I just bought the Anabolic Cooking Cookbook after reading your AWESOME review. I’m not a body builder or a health nut but I do try to take care of myself. You are what you eat as they say. For only $9, how could you go wrong. The recipes look tasty and the food is healthy. Thanks for the great deal on the Anabolic Cooking Cookbook Brendon! For $9 I am not sure how anyone can pass this up! There are hundreds of great recipes pack inside the pages of this cookbook! While this cookbook is designed for those that want to grow some added muscle. There is something in here for everyone. Dave has included many low carb and weight loss meals as well as his protein packed gems! Jack, we as people do not need to be health nuts to enjoy healthy cooking, after all it is the bo0dy you live in. Please let me know what you think after trying some of Dave’s recipes! I always love to hear what others have to say about the products that I am referring them to! Oh yeah this is nice, I love cooking and because im into Martial Arts getting the right fuel levels for my body is always crucial. So I’m definitely considering buying this Anabolic Cookbook as I’m sure I will be able to get some great new ideas to add to my diet to maximize my performance, the price is great too. Thanks a lot for sharing this Brendon, your detailed and nicely laid out review has given me food for thought literally and will definitely help me finalize my decision – I’ll be back! The Anabolic Cooking Cookbook is jammed packed with a ton of great muscle building recipes and they can certainly help you achieve your goals. Whether you are looking to just strengthen and tone, or if you want to add mass. You will find the recipes that will help you get the results you are looking for. I am into MMA as well, and although I have an injury that prevents me from competing, I still love to get the workouts in when I can. I have used this cookbook as a part of my overall training and nutrition plan. There are a lot of great tasting and healthy options to be found here. There are also a ton of recipes to help shed that extra body weight as well. There is literally something in this cookbook for everyone, plus it never hurts to have great meal ideas on hand if you like to cook! As you mentioned Marley, for just $9 you really can’t go wrong with the Anabolic Cookbook, it is truly a Win Win! Marley keep me posted on your progress, and let me know what you think should you chose the Anabolic Cooking Cookbook! Ok this is nice. 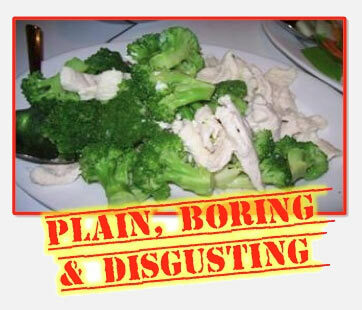 I was definitely of the opinion that in order to lose weight and gain muscle I had to eat a lot of “boring food” like boiled chicken and lettuce. It’s great to know that their are tastier options out there. It’s great to see such a simple, proven, step by step guide. My question to you is does this guide work just as well for women as it does for men? I used to think the same thing, but thankfully I found the Anabolic Cooking Cookbook! There really are some amazingly great tasting recipes found within it’s pages. Also this is much more than just some recipes in a binder. Dave has put togther everything you need to know about anabolic cooking. GBIG this cooking methods and all of the other info included in the Anabolic Cookbook is based on the human anatomy. This means it will work for women and men alike. Anyone that wants to eat healthier, build muscle, and/or add strength can benefit from this cookbook. Dave has also included a ton of great weight loss recipes as well, Making this a perfect cookbook for almost everyone! My thoughts when I bought the Anabolic Cookbook were that it is always nice to have great meals options. With this cookbook be created around the concept of fitness only made me want to grab my copy all the more. GBIG, for the price I recommend you grab your copy today! You will find a ton of great ideas inside, and you will never have to settle for the old boring meals again! Anabolic Cooking. Does that mean that the recipies proposed will increase your level of testosterone? I have heard that you can increase your testosterone level by eating the right foods. I am currently 45 years old and trying to get in shape. To acheive this I have planned to run a marathon in July next year and until then, I need to loose some weight, get stronger and do a lot of running. The hardest part seems to be loosing weight. Could this program help me with this? It is common for testosterone levels to decrease as we age. Unfortunately it is a fact of life that we must live with. It is true that you can eat certain types of food that will help you boost testosterone, they are by no means a cure for low T. You would need to see a doctor to confirm that you have low testosterone through a physical exam and blood test. Along with your doctor’s recommendations, you may consider potential testosterone boosting foods as a natural complement to low T. That said, there are two nutrients that are especially important to your diet, vitamin D and zinc. testosterone production. If you aren’t a tuna fan, you may consider other fishy sources of vitamin D, such as salmon or sardines. Milk is a great source of protein and calcium. Be sure you choose a carton that’s fortified with vitamin D. Choose low-fat or skim versions. as they have the same nutrients as whole milk without all of the saturated fat. than egg whites. The cholesterol of egg yolks may even help low T.
Also things like oysters and shell fish are great for your zinc intake. Beans are another great choice as well as lean beef cuts. The Anabolic Cookbook is full of great recipes that you can include all of the items I have just mentioned. Keep in mind that you can always substitute any of these items into other recipes as well. Jojo you will find many great recipes that are great for weight loss as well. While the main purpose of this cookbook is to help you build muscle, many of the recipes are also geared at weight loss. The Anabolic Cooking Cookbook is way more than just another cookbook. It is jammed packed with great and healthy meal plans for what ever your goals might be! Good luck with your training, and you goals! This review is amazing! I am into fitness and I realize that I can expand my food options, (I like to call it my food palace),. I need to learn different meals because chicken and brown rice are getting boring. I’ll give anabolic cooking a try because I see the value it has to my health and overall life. Thanks! 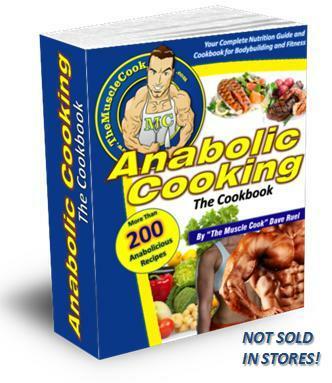 The Anabolic Cooking Cookbook can definitely help you expand your “food palace”! There are well over 200 fitness friendly meal recipes packed inside. Along with that there are also plenty of tips and tactics to help you achieve your fitness goals. You will find “what to” eat lists as well as “what not to” eat lists. They have even included grocery shopping lists and tips for saving big time money at your local grocery store. For the price, the Anabolic Cooking Cookbook can’t be beat, add to that the 60 Day Money Back Guarantee, how can you go wrong?! Marcus I think you are going to love this cookbook, let me know what you think once you have started to use it.